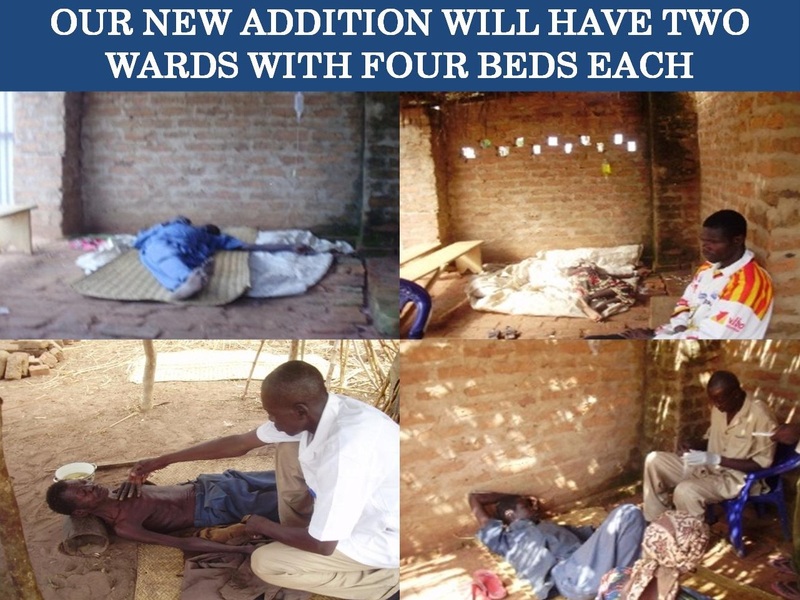 Initial materials have been ordered and construction will begin in early February on the much needed addition to the Jordan Health Center in Dono-Manga, Chad. Our small staff of two has been struggling to meet the demands of the hundreds coming for treatment due to the recent flooding in this part of Southern Chad. At one time during the peak period of this disaster as many as 250 people per day were being treated. All of this taking place in a small building no larger than a one car garage with a small porch. Volunteers were enlisted to help and learned to dispense medication and administer immunizations under the watchful eye of Eloi our nurse. 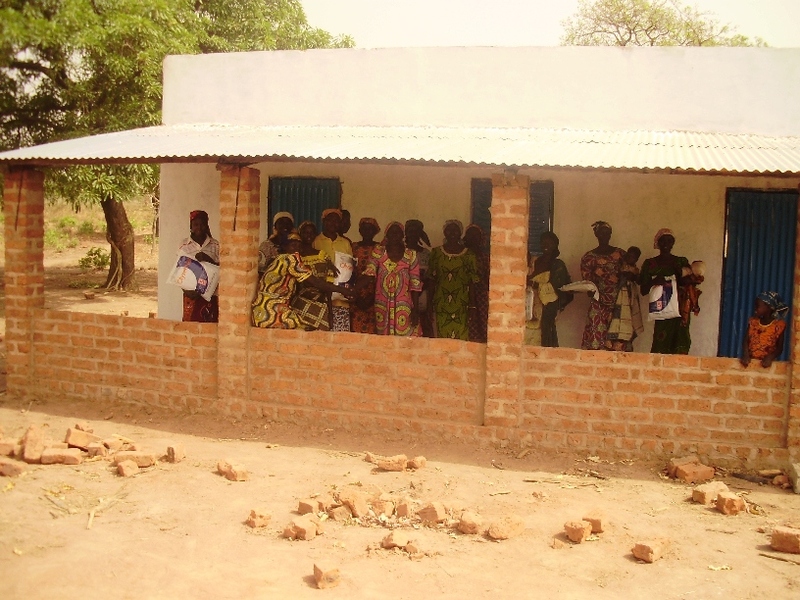 Mothers with small children receiving mosquito nets at our present building. The new 1600 square foot addition will have a private exam room and two wards with 4 beds each, one for men and one for women. The Jordan Health Center is located on the same property as our Orphanage and Farm Compound. We are also hopeful that we will be able to add a school building here as well for the 500+ students that are meeting in thatch huts for classes presently. More than medical treatment is dispensed at the Jordan Health Center. Lazarus a recent graduate of the Jos School of Biblical Studies in Jos, Nigeria is stationed at the Heath Center and shares the message of Christ with people waiting for treatment. Many have come to know Christ and new churches have been started as a result of his efforts. We still need an additional $12,000.00 to complete the Jordan Health Center addition. The initial $8,000.00 to begin this project was provided by the efforts of the team at CMI Medical Missions. Will you help us complete this critically important building program? Gifts of any size are deeply appreciated and may be made mail: Hope Springs International, 118 Wessington Place, Hendersonville, TN 37075, or you may donate at our website: wwwhopespringsint.com. The Jordan Health Center provides treatment for more people in a day than many hospital emergency rooms in the US. You gifts will help us do even more! Our Director of Operation for Africa Rambi Ayala will soon be in Dono-Manga to oversee the construction and send first hand reports on all phases of the work there. Check back often updates. Better yet, subscribe to this blog and receive updates automatically! 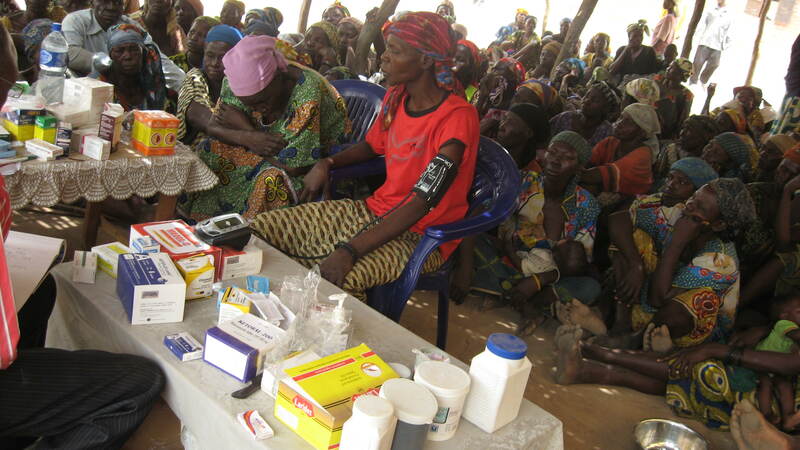 Categories: Chad, Clinic, Dispensary, Dono-Manga | Tags: Chad, Clinic, Dispensary, Dono-Manga, Life Saving Drugs, Mosquito Nets, Preventable Death of Children | Permalink. There are moments that we try to visualize the struggles of others, but it’s so far removed from our own reality that we can’t truly see it. Then when their struggle is over something that we know is required for survival and often something we take for granted, we really just can’t get it. Hope Springs International received the following letter from Rambi Ayala our Director of Operations for Africa in Gombe, Nigeria who sees these struggles first hand and desires to see a difference made. A difficult task for a 3 year old. survival of the entire family (WATER). 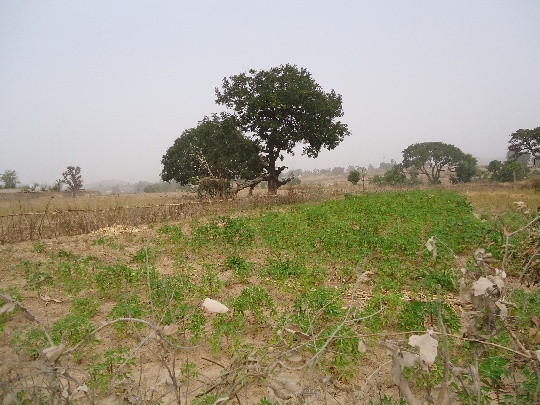 When I visited the sleepy villages of Jauro Malam and Garin Babuga, situated along Gombe-Yola road, with an estimated population of 5,000 inhabitants, what I saw was quite unbelievable. They have been drinking water from a well that was dug over forty years ago. 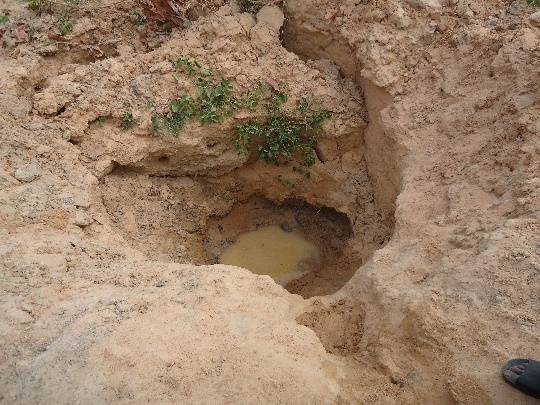 The well in question is about 105 feet deep and it was dug manually by the community with crude implements as I learned. Kabir and Zulai are two little children about three years old who found themselves confronted with the daily chores of fetching water from this well at Jauro Malam Village. The is what a Nigerian Pond looks like. Much different from farm ponds here in the US. 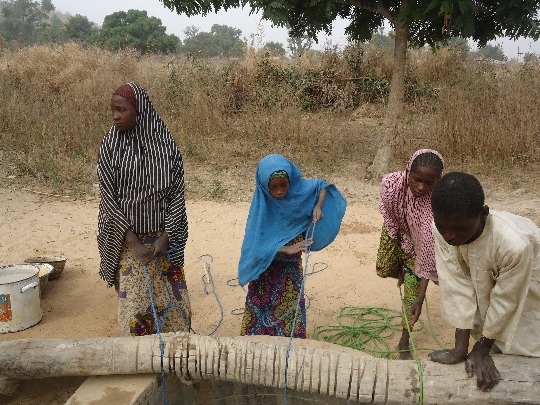 According to Gurama Alhaji Adamu, one of the community leaders I spoke to, the well has been their only source of water for survival complemented by some ponds they dug. The only time they enjoy clean water is during the rainy season when they will collect rain drops into a container and store. 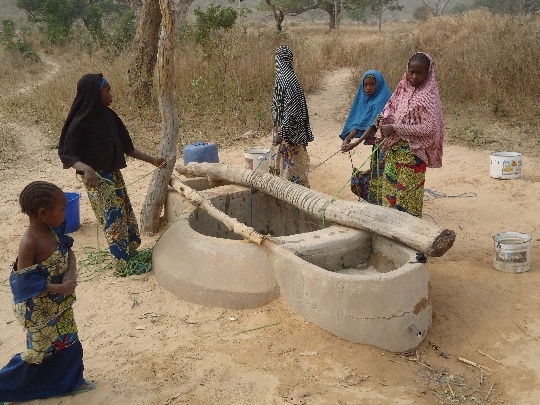 It is the same well they use to water their animals and cassava farms. 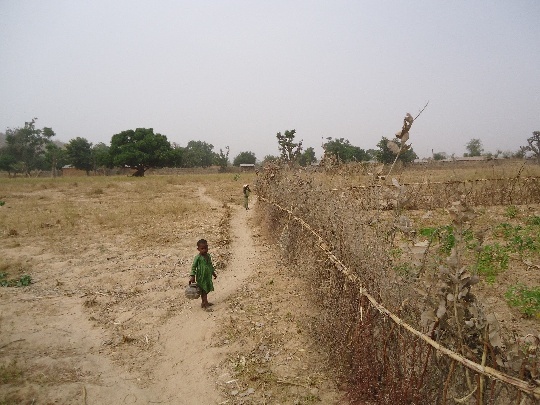 Ironically, the villages of Jauro mallam and Garin Babuga are just about 30 km away from Gombe, the state capital of Gombe State. Gurama Alhaji Adamu lamented that they live close to civilization but they are still far away from it. Drawing water from this well is a very challenging task, when I tried it; it was as though I had run a 100meter race and my palm began to ache. This is what the people of Jauro Malam go through with “ease” both young and old. The effect of the rope used for drawing the water had already worn away the metal pipe and from the pictures you can see where the wood replacement is also beginning to wear away. The color and stench that come out of the water are just indescribable; yet God in his mercies sustains them with it. The root of the cassava plant is a staple in many countries in Africa. drinking, but raising their animals and watering their cassava crops during the 9 month long dry season. As I read this letter, I couldn’t imagine such young children in a world that required them to perform tasks that a grown man struggled with. I couldn’t imagine a village so close to civilization, yet so primitive. Just because I can’t imagine it does not change the harsh reality of the struggle daily for survival. 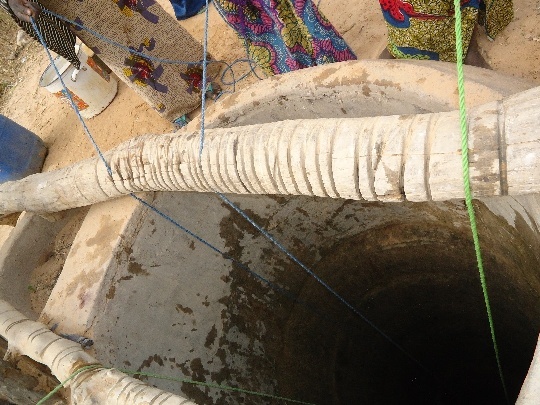 The water from this open hand dug well. We have the chance to change this reality. You and I can change the lives of children like Kabir and Zulai forever. We can provide them with the necessary wells that take the strain off of just trying to survive. You and I can show them that although we have never had to haul water from a dirty hole in the ground, we can imagine it and we can change it. Help us be the change in reality these people so desperately need. Help us change lives one village at a time. 105 feet deep. A daunting task to accomplish by hand. New wells will be over 200 feet deep, capped with hand pumps. You can provide one well for only $3,000 and two for $6,000. These are deep water wells professional dug by a local well drilling company, capped to protect again water run-off and a hand pump. The long walk home with all the water she can carry. For less than the price of a worn out used car you can provide clean water to thousands of people. This is a great project for a youth group or a whole church. Maybe you are an individual whom God has blessed and you would like to pay it forward by blessing other. Donations may be mailed to: Hope Springs International, 118 Wessington Place, Hendersonville, TN 37075, or made on line through PayPal at our website: http://www.hopespringsint.com. BY Alycia Neighbors, Volunteer Staff Writer. 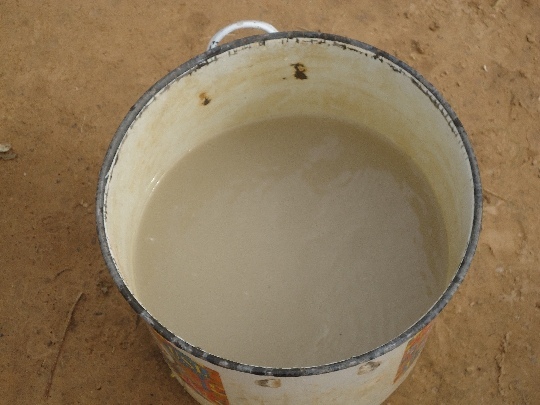 Categories: New Wells, Water, Well Drilling | Tags: Nigeria, Water, Water Born Disease, Wells | Permalink.